The spacious gathering area for guests to enjoy at Urbandale High School, by Heartland. Exterior of Boylan Catholic High School Field House in Rockford, IL by Mid-States Concrete Industries. The new recreation center at Grand View Lodge features bold, attention grabbing details throughout the design. Rift and quartered white oak flooring brings together the entire room design at the Moody Performance Hall in Dallas, Texas, by Woodwright. Beautiful seating areas are available right off walking paths for residents to enjoy the stunning landscape architecture designed by LandStudio360 in Costa Mesa, California. Designed for areas where remarkable visual impact, high performance and elegant aesthetics are of the utmost importance by KLIK USA. Crisp and timeless finishes at the Alma Hotel. A small common space at Midway Village in Bloomington, Minnesota, by TWP Architects. The Ambius Project Development team designed, coordinated, and installed two living plant walls totally 563 square feet and nearly 3,500 plants as part of the gallery.  The SCW964 series is fixed window system that simulates a double hung and provides energy efficient double-paned glazing.